An hours seawatch this morning produced nine Manx Shearwaters whilst two Mediterranean Gulls at the Patch included a juvenile along with two juvenile Yellow-legged Gulls. A Little Ringed Plover also flew over. Two Willow Warblers were calling in the trapping area. 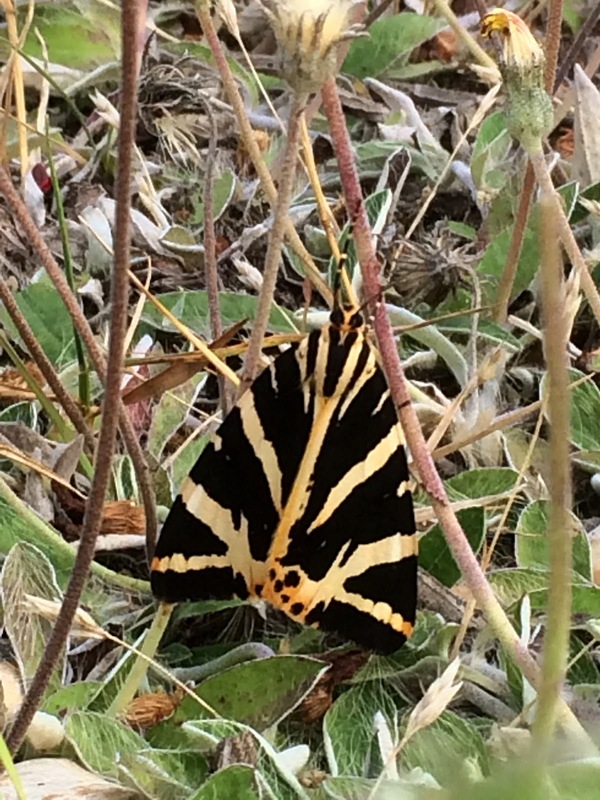 The moth trap was fairly unexciting but a Jersey Tiger was found in the afternoon near the Sanctuary. Despite becoming increasingly widespread in the south-east this remains a pretty scarce moth at Dungeness.